Some parts of this review of Mahican-Moravian history are going to no doubt ruffle a few eagle and ostrich feathers, so to speak. My intention is simply to put out there the possibility of several discoveries I made during my years of reviewing and teaching Christian Indian philosophy and the history of the Moravian-Mahican missionary movement. Most of this writing pertains to the life story and works of Tschoop (spelled due to the Dutch pronunciation as Tsch = tch = J, p = b, or Job, with a long 0) of the Mahicans and his people residing in Shekomeko. I began this work with the intention of understanding why the Shekomeko mission was so successful in converting its Indians to Christianity in very short time, unlike most of the other missions that took place in this country. I believe this success was due not only to the similarity both sides had when it came to life experience , but also due to a shared philosophy each had concerning God and Nature. Several parallels in their distinct natural philosophies were lacking in most other European-Native American missionary settings. Another part of this review that will ruffle feathers is my reference to Tschoop as a sachem and medicine man with the makings of a saint. 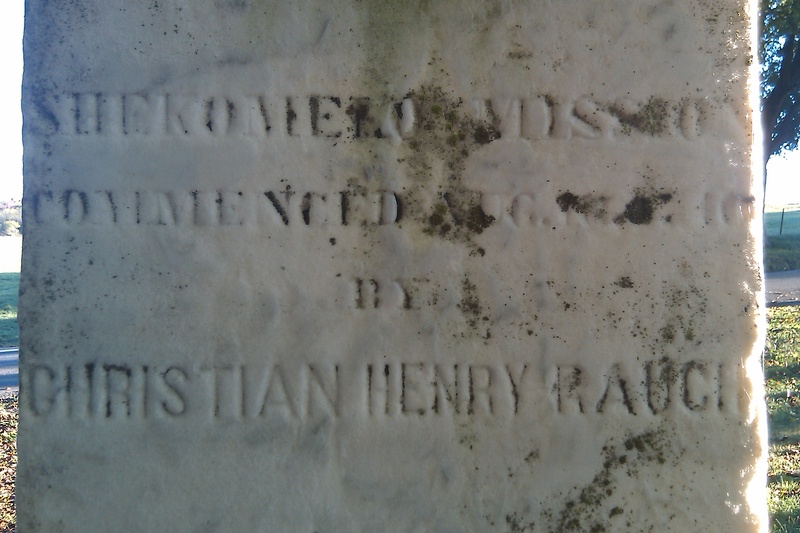 We never hear any reference to this part of Tschoop’s life experience or learn of any references to him as a medicine man, but based upon Tschoop’s importance to his people when they first came in contact with a Moravian missionary, and the fact that this missionary Christopher Rauch made special references to his discussions with Tschoop about religion and philosophy, Rauch’s activities suggest that he already realized that Tschoop was going to be his best contact with the Mahicans, the one to best understand his missionary intent, their spiritual leader. As if this weren’t enough to introduce a reader familiar with Mahican history to new information about Tschoop, it ends up that there is still more to say about Tschoop and his life experience. For one thing he was an Indian spiritual leader who became Christian, quite a route in life for someone to take at this time and place in American history. But by remaining a spiritual leader well after his Christianization places Tschoop another spiritual step higher in life, according to Christian doctrines. Tschoop’s ability to manage the various transitions in life that he had to endure, and to come out an inspiration to both his people and the missionary staff and their associates, places him in a position possibly eligible for beatification, should any miracles be associated with Tschoop from the past or in the future. This would make Tschoop the second such Indian to undergo this process were such a succession made on behalf of the Christian leaders. To Indians and non-Indians, this means that Tschoop is more than just a medicine man. And so the story goes. The impact of Rauch’s work with the Mahicans is an important piece of local history for the Hudson Valley. It is not so much the missionary story itself that is in need of review and retelling than the overall impact these events had on the local history and what the success of the Moravian Missions teaches us about assimilation and the overall missionary goal. It ends up that 1740 was the year in which settlements were established locally in and around Pine Plains. Very quickly, the Governor of New York had to figure out how to remove the Indians from these new communities. For a couple of years, Shekomeko Mohican Indians managed to remain in their settlement just south of the hamlet of Pine Plains. But by 1745, their fate in the Shekomeko-Pine Plains area was finally defined–they had to leave. Just before their departure, this group’s most important leader, Tschoop, was baptized. Once the Shekomeko Mahicans made their way to Bethlehem, Pennsylvania, the center for the Moravian missions in the colonies, Tschoop and several other leaders caught small pox and died. But it isn’t the fatality of Tschoop’s life as a Christian Indian that this story is about. Instead, evidence in the literature and history books about Tschoop’s life story, along with a couple of paintings displaying his physical appearances by an artisan residing in Bethlehem, Pennsylvania where Tschoop’s untimely death took place in 1746, provides us some very unusual details about Tschoop story of conversion to Christianity. These paintings tell us that Tschoop was a peace keeper for the Mahicans tormented by his own debilitating disease. If we accept the missionary tales about Tschoop’s habit of testing the faith of others due to his proselytizing, followed by his untimely death brought about due to these behaviors, Tschoop’s life represents to other Mahicans a life of devotion to original the Moravian teachings and philosophy promoted in such a way that only Mahicans could do. The parallels between the natural philosophy of both Moravian and Mahican cultures are what enabled these important changes to be made in Mahican culture and history. In spite of the intended good of these missions, in the long run the outcomes of the Shekomeko missions were disastrous. These outcomes included periods of imprisonment for both missionaries and Indians, first due to legal accusations that the Missions sided with the French, but later as a means for protection against civic unrest due to prejudice and fears the people in Pennsylvania had about these converted heathens. The public displays of this prejudice forced the missions to remove further west from Shekomeko, first through Pennsylvania and then Ohio as they were attacked by both Indian and Euro-american groups residing close to each new town they developed. By 1840, as the last of the surviving Moravian Mahicans was killed in Ohio, this was due to social unrest and injustice, not starvation or disease. So how could the Moravians be so successful in converting Native Americans when most other missions were not? For the most part, this story has been retold numerous times in local history writings, each tale slightly different from the next. My initial intent for retelling this story was my desire to review the local flora of the Shekomeko region with respect to the possible hybridization of Mahican and Moravian traditions in how herbal medicines were defined and used. But back in 1993, after happening upon some articles on these missionsch, whi published in the 1890s in a journal titles Missions, I realized these events had taken place in the county where I grew up decades before. I knew at some point in my life I would be heading back that way, so I copies these articles and kept this story close to my heart. Reviewing the medical articles that were published about Moravian-Mahican history nearly a century ago, and the essays I wrote back then that I had copied off of my old 3.5 in floppies, I could tell there were numerous examples of parallels in the philosophies that each of these sides had to share. Having taught a number of classes about this intersting part of missionary history, I had come to realize what drew these two cultures so close together between 1745 and 1750. These parallels in philosophy were what ultimately led the traditions of these two cultures to merge into a single philosophy in such a short period of time. More importantly, I had also uncovered evidence about the important epidemiological issues that each side had to face due to the others’ ways of living. These ranged from the introduction of new infectious diseases to a population with a high susceptibility to certain medical conditions bought about by changes in hunting, fishing, food gathering, housing, farming and livestock practices. As expected, this natural history of Shekomeko, both past and present, revealed much about the underlying history of this part of Hudson Valley medical history. This part of the story of Medicine in Shekomeko is easy for me to retell. So, in the beginning, my next goal for this project was to retell the cultural history of the Shekomeko region, with the intention to include in these essays new information uncovered about the Shekomeko Mahicans natural philosophy. Unexpectedly, several discoveries were made during my review of Moravian and Mohecan history in upcoming weeks or months that told me to pursue the different facets of this complex story further. Whereas the initial intent of my work was to simply uncover more evidence about the philosophy of Christian Indian culture in the Hudson Valley, relating this to certain assimilation-related psychological diseases often associated with cultural change, instead I uncovered several unique details about Moravian-Mahican missionary practice that made me ponder even more about the details of this piece of Christian Indian history. A number of traditions of Moravian religion were so similar to Native American traditions that the parallels in Moravian and Mahican philosophy next had to be reviewed. The practice of Moravian missionary “medicine” or the preaching of the words of the Creator to the Natives led to the successful practice of three religious behaviors that both sides of the Cross were very familiar with. In the Native American context, each of these methods had spiritual meaning. The first is the lovefeast, which very much mimics the large feasts that large groups of Indians often engaged in on certain days of the year. The second is the use of the sweatbath by Christian Indians, in which the internal cleansing of the body and soul took place for Indians, used in addition to and as a continuation of the spiritual baptism process. The third practice is symbolized the thorn versus the Lancet; both cultures made similar use of some sharp object. The third of these parallels is especially interesting due to its philosophical symbolism. In Native traditions, a thorn is used to produce a channel through which animal spirits may pass. Other Native American groups consider this bleeding to be an opportunity for the mixing of blood with a “brother” or close friend , a sign of a new relationship. 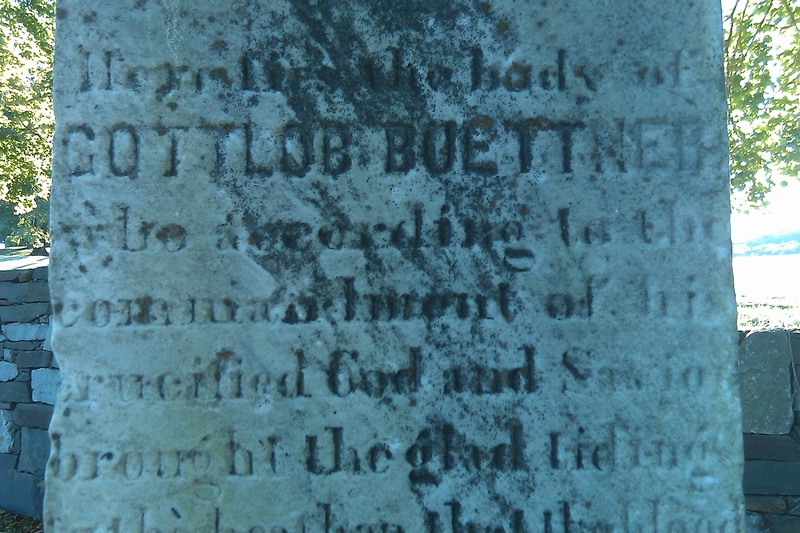 In Western European medical culture, the use of the lancet to initiate a bleed had a humoral philosophy attached to it–you removed the blood to get the rest of the blood and it underlying energy or content to flow correctly; by reduce the amount if “bad blood” in the body it was believed that a physician could arrest an illness caused by these bad humours. During the time that missions became active in the New World, a new meaning was attributed to the lancet, and well into colonial history, and beyond, one of the physical medical practices missionaries continued to practice was bloodletting. This exsanguination of blood by the use of the lancet was considered a form of self-sacrifice by strong Christian followers, a symbolic mimicry of the bleeding of Christ. This is the message that Christian Missionaries assigned to this practice, and became the major message taken on by Native Americans who learned to mimic this process for years and decades to come, an important example of a modified cultural belief. This change in philosophy we see practiced by one of the more famous Native Americans residing in this part of North America–Blessed Mohawk Indian Tekakwitha. This process is what I like to call “transformation of common belief”, a change in philosophy that can ensue whenever two cultures meet and share some of the metaphysical behaviors and practices. In the case of the Moravians and Mahicans, the transformation involves how the thorn and the lancets have applications considered parallel to each other. Likewise, the use of particular herbs developed in each of these two cultures had related uses with similar stories to be told. This Indian use for a given herb had a philosophy that was rewritten in order to better meet western European beliefs for the time. This is also how one traditional Moravian practice known as the lovefeast was found to closely mimic similar social events engaged in by Mahicans and other Indians. The purpose for engaging in the sweat lodge process, could appear to some to be much the same as a full immersion baptism event. Finally the traditional European medical practice of bloodletting was transformed to the Mahican Christian practice of engaging in a practice symbolic of the raising of Jesus Christ on the cross. One final topic was uncovered in my review of Mahican Christian Indian history. This was uncovered during my review of the paintings of the Moravian missions success produced in Philadelphia around 1747. In a book published about the Moravian Christian Indians at Shekomeko during the early 1900s–DeCost Smith’s Martyrs of the Oblong and Little Nine (Caldwell, Idaho, 1947), as well as many of the writings about the dedication of Shekomeko as a local landmark and historical site, Moravian mission agent Gottlob Buettnor is referred to as a “martyr” for this cause due to his short life with the missions. In 1859, an important historical event took place in which a monument was raised describing this importance of the missions in local Shekomeko and Pine Plains history. A similar story about Tschoop was then revealed by reviewing the paintings of this Moravian experience. The moment I saw these paintings, I noticed an piece of this missionary history that remained untold. The common story told by missionary writings is that during his last few years of life, Tschoop suffered from an injury as some form of Divine Punishment. But looking at the paintings, I could tell that Tschoop was instead suffering a chronic, debilitating condition, before and after his conversion to Christianity. His deformities looked like they were due to congestive heart failure or rheumatism to me. The Moravians tell us this condition was a form of God’s punishment that Tschoop suffered because he was tempted by some sort of evil. This deistical form of punishment was typically imagined by the writers (and later interpreters) as a punishment incurred due to some common sin, like excess drinking or engaging in some dort of battle or war with your enemies. By retelling Tschoop’s story in this manner, it becomes a valuable lesson to others the missions are devoted to who may also have similar feelings about life, faith and morals. For this reason, Tschoop’s story is retold by missionaries as the tale of an unusual example of martyrdom, resulting in his total conversion. This story appears as such throughout the Moravian teachings that retell this story. More than a century later, it was still included in many of the broadly targeted Christian writings about becoming a convert. Tschoop’s personal story is also reminiscent of other natives important to local history, like Mohecan scholar Occum, an American Indian who attended classes in England and subsequently became an important symbol of ongoing attempts to Christianize and assimilate all Native American Indians. Tschoop’s skills in several languages also made him reminiscent of the Cherokee, Sequoyah, the inventor of the Cherokee alphabet and creator of the first American Indian “talking leaves”. To the Mahicans and Algonkins who knew Tschoop personally, the story he retells his people made him a living legend. To the local Colonists who saw his unusual behavior and devotion to Christianity, Tschoop was too perfect a symbol of their own faith, and to some, too much like the famed Protestant many of them learned to respect, Martin Luther. However, for Tschoop, it was his own personal medical condition, developed before he became a spiritual leader and converted Christian, that puts this story of conversion into a new category–the story of an individual who deserves respect and admiration for the experiences he had during his final years. According to the paintings, Tschoop had a lifelong medical condition, not a curse recently placed upon him by God due to his misbehavior. Whatever that condition was, it left him physically disabled and made it difficult for him to stand up straight or walk about from place to place as a convert retelling his experiences. At times, the story goes, he would be forced to spend much of his day off his feet, lying in his personal quarters on his back attempting to overcome another period of intense discomfort or pain. The uniqueness of this part of Tschoop’s life story makes him very much like that of another Christianized Indian in this part of North America–Blessed Kateri Tekakwitha, the Algonkin-Mohawk “Flower of the Algonquins, Lily of the Mohawks”. For this reason, I have taken an unusual step with this review of his life–Tschoop’s life is not only worthy of this sort of retelling, it also worthy of being added to the Christian spiritual route taken important leaders on the way to veneration, beatification, canonization and sainthood. Now it seems very unlikely that this retelling of Tschoop’s story alone is going to lead to his ascension to sainthood. There are other much more important reasons, “Higher” forms of logic and proof that must take place for such an event to happen with Tschoop. Instead, I am engaging in this argument because his life experiences do represent achievement above and beyond the call any average individual, American Indian or not, must got through in life. This does meet some of the requirements for someone to become a saint, a century or two from now, assuming this story is retold long enough after I am gone. My feeling about Tschoop’s life story is plain and simple. Tschoop is life worthy of recognition by the Catholic church due to his life experience as a convert and promoter of his faith. In the simplest sense, Tschoop is an example of someone who was selected and tested by the Creator, as suggested by his illness and his ability to perform as an important community leader in spite of this limitations. 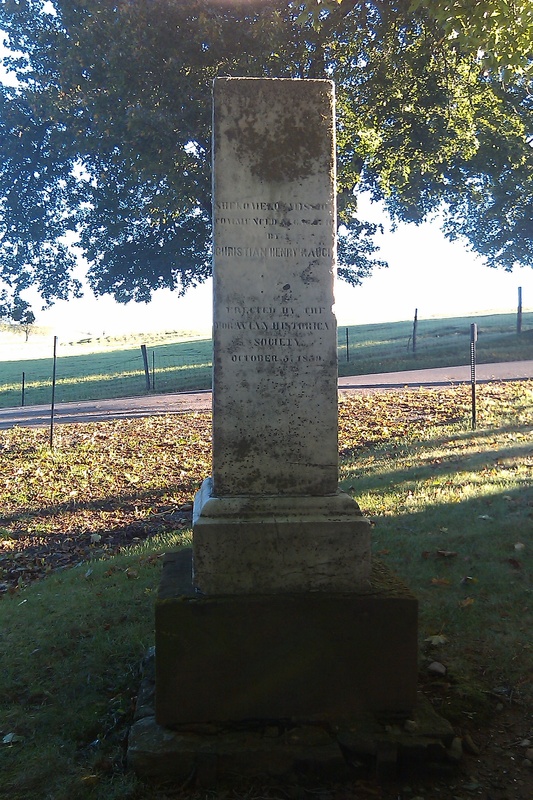 Were it not for his final life experience with small pox, Tschoop’s life story may have resulted in events other than those leading to the ultimate loss of the “last of the Mohicans.” As part of his interactions with the local Calvanists residing a few miles west of the Mahican settlement, he was a symbol of their own faith’s initiator Martin Luther. To those residing nearby Pine Plain-Shekomeko, he was very much symbolic of Job’s testimony of life–successfully living a life to both extremes of good and bad. To the missionaries, he was best represented in Christian history as living the life of an apostle, and thus was given the name John when he was baptised. This final argument I would like to make about Tschoop is that he was someone whose life, again in the Christian sense, was enriched if not beatified by these experiences. He became a symbol to his people. In a modern sense he could become a symbol of the disabled or those taken by “too much spirits” and so in need of spiritual guidance. Since no one really knows this history about Tschoop, and I was fortunate enough to have realized it during my own journeys through the archives of medical history, I decided this story had to be told. The only question remaining is when would I begin to pull together retell this story. The answer to this last question was made clear to me one morning on a Sunday in September 2010. 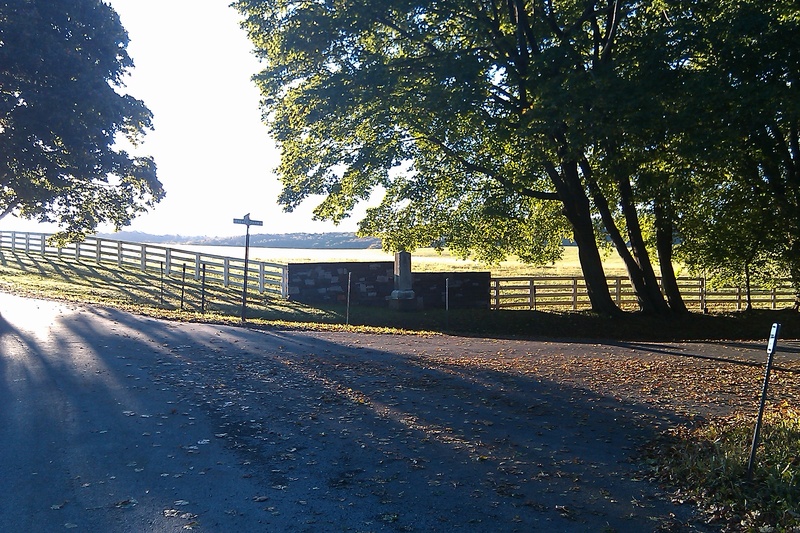 I had just moved into this place in Pine Plains, and was there for just a few days. My plans were to meet with family members for breakfast by 9 am over near Newburgh, about 50 miles away. This meeting was part of a recurring plan we all engaged in for the past several months. That morning, I got out of the house too late to get me there on time. So, a few minutes into this trip I realized I was never going to make it there, and decided to abort this race through the countryside. I took a turn to the left onto a side street, and began driving down a road through the countryside trying to find a place to turn around. Like many country roads, you cannot just stop and turn around. I went a mile or so further, never found the place to turn around, and so ended up at a three-way corner at a street named Bethel. I stopped for a moment during the turn just long enough to read the sign and then noticed standing to the right of me the monument for the Moravian missions I had been reading about. It wasn’t much past 7:30 or 8 am that morning. So I completed my turnaround and parked on the corner. I got out of the car and just wandered about the place, and began taking pictures with my cell phone hoping they would come out. After about a half hour to forty-five minutes of being there, I went back home. I really had little choice in telling this story. After taking a look at these pictures on my laptop, I was amazed at how good they came out for the time of the morning, and so decided it was time to start my writings on the Moravian Missions. My goal at first was as it always was, to define what kinds of medicine and medicinal plant uses were taking place at these missions due to their mixed cultural setting. A couple chapters into this work, the purpose for this work changed once I noticed the deformity of Tschoop’s legs and the way that he was seated in the paintings. As stated previously and elsewhere, this project then took a major turn in another direction as I began reading the older writings about the Missions and made some discoveries about Tschoop’s life story. Due to his life experiences, Tschoop deserves recognition by the Church, in the least as a Servant of God or as a Venerable making his way toward sainthood. No miracles that I am willing to attest to have happened due to Tschoop, but they may be out there. If they are not out there, this could be because people are simply not looking, not thinking this way, and therefore not expecting. If this is the case, then maybe my writing will halt the absence of knowledge we have about the story of the Mahican Indians and Tschoop, and the conversion of these Mahicans to Christianity in Hudson Valley, New York, a historical event unmatched by other colonial Native American groups. This is an important piece of local history that has too long been forgotten and therefore has to be retold. Since no one has yet been healed due to Tschoop, so to speak, perhaps beatification is not to be an expected outcome here. Still, this life story teaches us something about an individual not only chosen to endure and survive a condition worthy of traditional medical and canonical review, but also to become one of the firsts to demonstrate the life of a martyr during this important point of time in local history. It is my impression that the Tschoop deserves recognition as a Servant of God life due to his life of martyrdom. Perhaps by doing so we may even be afforded the chance to experience a small part of the path he is taking towards beatification. This same path was taken by another local Native American, his “holy companion” in the Christian sense, Blessed Kateri Tekakwitha, the Algonkin-Mohawk “Flower of the Algonquins and Lily of the Mohawks” who lived in this region from 1656 to 1680. The Evidence for Tschoop’s recognition as a Servant of God, or more.